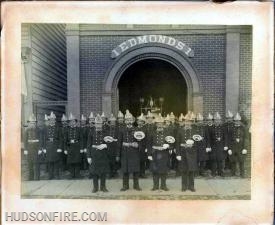 J. W. Edmonds Hose Company, No. 1 firefighters in front of their Park Place firehouse in the mid 1800s. 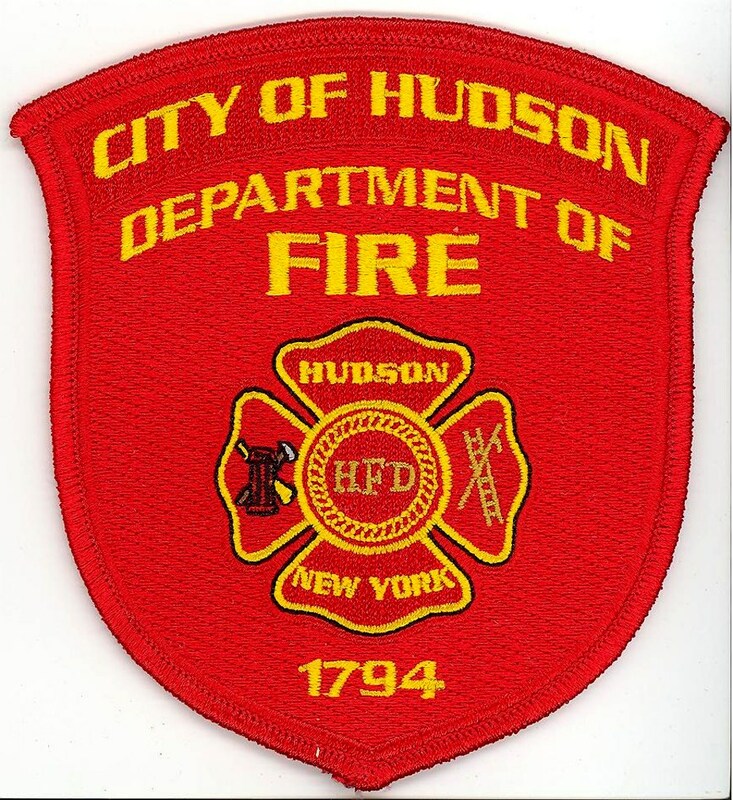 An early morning fire caused heavy damage to a two-family house at 515 Washington Street in the City of Hudson on Wednesday. 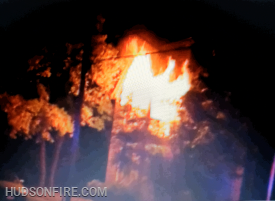 Heavy fire showing at 515 Washington Street in Hudson as first units were arriving on the scene. 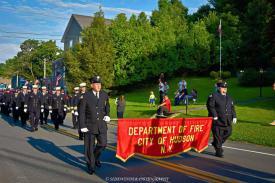 The 162nd Inspection Day Parade will be held on Saturday September 29th at 2:00pm. The parade will travel from the intersection of 7th and State St, to Green St, to Park Place, West on Warren St, North on Front St, and concluding at the intersection of North Front and Columbia St.
93rd annual CCVFA parade results. 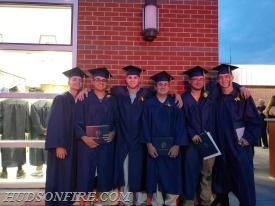 Tonight, six City of Hudson Department of Fire members graduated Hudson High School with the class of 2018. 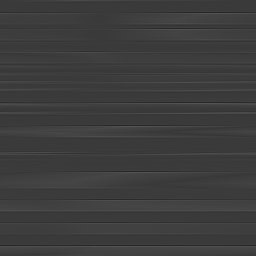 These young men started their firematic careers in the department as Explorer Members as early as age 14 and are now becoming Full Active Members of the department.